CASOT, JEAN-JOSEPH, priest and Jesuit; b. 4 Oct. 1728 at Paliseul, in the bishopric of Liège (Belgium), son of Jacques Casot and Jeanne Dauvin; d. 16 March 1800 in Quebec. 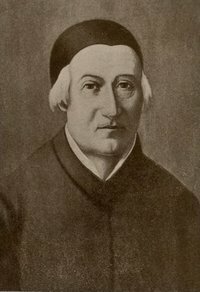 Jean-Joseph Casot entered the Jesuit noviciate in Paris on 16 Dec. 1753 and arrived in Canada in 1757 as a lay brother. He became cook at the Jesuit college in Quebec. 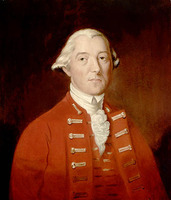 He experienced the war of the conquest, the rationing, the capture of Quebec by the British, the occupation of the college by troops, and the upheavals that ensued for the Society of Jesus in Canada, including the prohibition after the treaty of Paris (1763) from recruiting or receiving new members. In the autumn of 1759 Brother Casot had taken refuge in the outskirts of Quebec. He returned to the college as cook in June 1761 and was put in charge of the primary school, along with Brother Alexis Maquet; Father Augustin-Louis de Glapion was the sole teacher for secondary studies. (The English garrison was still occupying two-thirds of the college.) 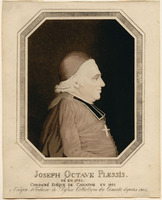 Father Glapion, who became superior in 1763, noticed Brother Casot’s ability and soon appointed him bursar of the college. Because of the steadily diminishing number of Jesuit priests, Bishop Briand ordained him priest on 20 Dec. 1766, with Brother Jean-Baptiste Noël; Brother Alexis Maquet was ordained in September 1767. 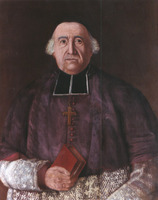 Father Casot spent the rest of his life as bursar of the college in Quebec; he was also confessor to the hospital nuns of the Hôtel-Dieu from 1783 to 1796. In 1768 Father Glapion, who had given up expecting any early replacements, had dropped instruction at the level of classical studies, maintaining only the primary school, which would be shut down in 1776. On 21 July 1773 the papal brief Dominus ac Redemptor suppressed the Society of Jesus throughout the world. Bishop Briand in 1774 called together the Jesuits residing in Quebec and told them he had the brief and the order to notify them. But, with Governor Carleton*’s agreement, he did not put the order into effect; the Jesuits kept their name and religious habit, and possession of their property. Indeed, since notice of the brief had not been properly given, they remained Jesuits, as did those in Prussia and White Russia. At the time there were only 12 members of the order in Canada, four in Quebec; nine died between 1775 and 1785. 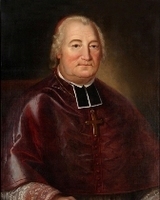 Upon Father Glapion’s death in 1790 Jean-Joseph Casot became administrator of the Jesuit estates and acted as if he were the owner. When Father Bernard Well, the last Jesuit in Montreal, died in March 1791, Father Casot immediately went there and gave all the movables used by his colleague to the Hôpital Général and the poor, claiming these belonged to his order. On 14 Nov. 1796 Father Casot drew up a testament in which he left the furnishings of his church in Quebec to Coadjutor Bishop Pierre Denaut*, the other churches in the city, the Ursulines, and the diocesan missions. However, he had previously deposited part of the college archives at the Hôtel-Dieu of Quebec and had given the books from the library to the seminary and the table service and pharmaceuticals to the Hôpital Général. 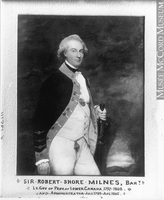 The lieutenant governor, Sir Robert Shore Milnes*, refused to recognize the legality of the will but made sure that most of its provisions were respected. The Ursulines’ annalist, recording Casot’s death on 16 March 1800, noted: “In this month of March passed away at the age of 71 years and 6 months Reverend Father J. Joseph Casot, the last of the sons of Ignatius in this country, who has left as many orphans as there are poor and needy. . . . He used all his income, which we know was large, to aid them, whilst denying himself the necessities of life. His death has been mourned by all men of good will.” With his death began the controversy over the Jesuit estates that was to plague the 19th century. ASJCF, 740; 741; BO 80, C. Nelisse à A. Mélançon, 6 août 1924; Cahier des vœux, f.42. Bas-Canada, chambre d’Assemblée, Rapport du comité spécial . . . nommé pour s’enquérir de l’état actuel de l’éducation dans la province du Bas-Canada (s.1., ). Isaac Weld, Voyages au Canada dans les années 1795, 1796 et 1797 . . . (3v., Paris, An xi ), II, 80. Allaire, Dictionnaire, I, 164–65. Caron, “Inv. de la corr. de Mgr Briand,” ANQ Rapport, 1929–30, 68; “Inv. de la corr. de Mgr. Denaut,” ANQ Rapport, 1931–32, 166. Mélançon, Liste des missionnaires jésuites. Burke, Les ursulines de Québec (1863–66), III. Rochemonteix, Les jésuites et la N.-F. au XVIIIe siècle, II, 182, 201, 214, 235. J.-E. Roy, “La liste du mobilier qui fut saisi en 1800 par le shérif de Québec, à la mort du père jésuite Cazot,” Revue canadienne (Montréal), XXV (1889), 271–82. Joseph Cossette, “CASOT, JEAN-JOSEPH,” in Dictionary of Canadian Biography, vol. 4, University of Toronto/Université Laval, 2003–, accessed April 22, 2019, http://www.biographi.ca/en/bio/casot_jean_joseph_4E.html.